But Kimio Abe, the fisherman who caught Rabio, felt he'd make more money selling it for food than from its clairvoyance. Here's Rabio in action. It's in Japanese but you get the idea. 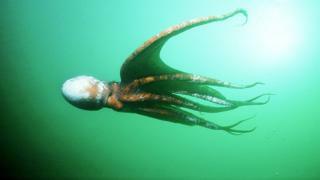 Rabio - a giant Pacific octopus - predicted Japan's win against Colombia and their draw with Senegal by moving to different parts of a paddling pool. While Japan's footballers are left to dwell on what might have been, at least they still have their health. Unlike Rabio. Rabio wasn't the first psychic octopus with an interest in international football competitions. In 2010, a German invertebrate named Paul correctly predicted six World Cup games.